Feeding into this city’s hunger for cloudlike pancakes, this Japanese chain opens its first overseas store at Lee Garden Three. 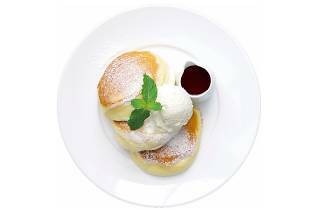 The soufflé pancakes here are made with all-natural ingredients and are cooked fresh to order. We recommend the black tea pancake with homemade granola, a well as the matcha flavoured version with butter and syrup.